Expand the indoors outside on your deck this summer. Its easy to relax in the extra large CorLiving Seattle Collection. The PPS-601-O Ottoman can be used on its own or as an extension to any sofa configuration to create a chaise lounger to stretch your legs out. It features and matches the rounded deep back pillow design of the PPS-601 series. 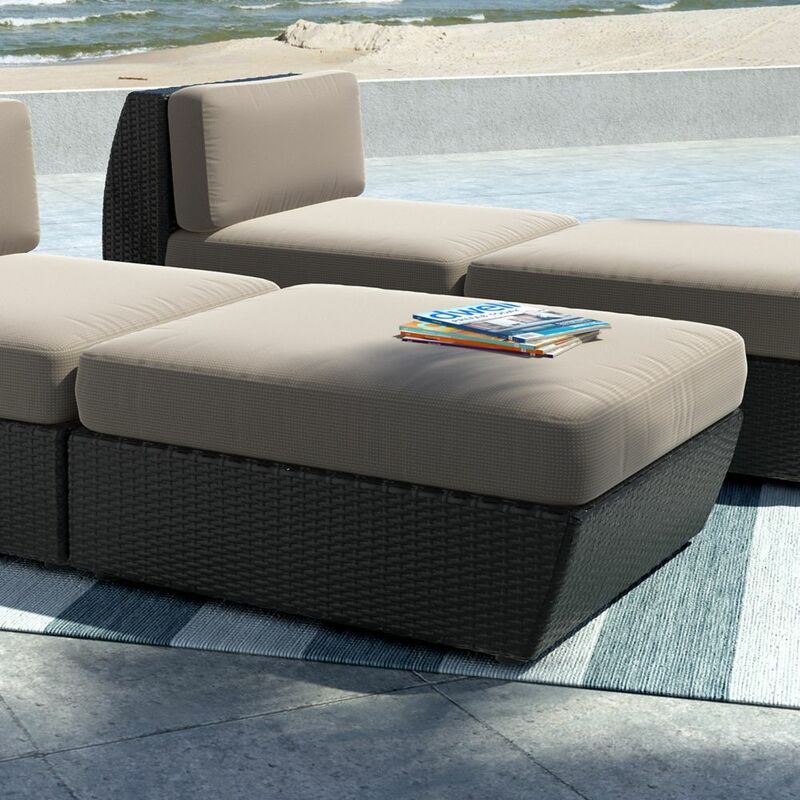 The curvy black resin rattan weave is complimented by high quality, weather resistant foam seat cushions wrapped in zippered and washable Sultry Grey woven seat covers. As part of the PPS-601 series, you can mix and match to make the configuration you need. Ready to use upon delivery, complete your deck with this ultra-comfortable patio ottoman from CorLiving. Enjoy your outdoor space with the Hampton Bay Park Meadows patio furniture made with beautifully hand-woven wicker and durable steel furniture frames. The patio chair boast deep, plush weather resistant cushions for ultimate comfort and longevity. Perfect for your porch, patio or sunroom. Seattle Patio Ottoman In Textured Black Weave Expand the indoors outside on your deck this summer. Its easy to relax in the extra large CorLiving Seattle Collection. The PPS-601-O Ottoman can be used on its own or as an extension to any sofa configuration to create a chaise lounger to stretch your legs out. It features and matches the rounded deep back pillow design of the PPS-601 series. The curvy black resin rattan weave is complimented by high quality, weather resistant foam seat cushions wrapped in zippered and washable Sultry Grey woven seat covers. As part of the PPS-601 series, you can mix and match to make the configuration you need. Ready to use upon delivery, complete your deck with this ultra-comfortable patio ottoman from CorLiving.